Place the berries with erythritol in the saucepan. Add few tablespoons of water and cook for couple of minutes until cranberries have popped. Set aside to coll down a bit. In medium bowl mix soy flour, ground almond and baking powder. In a separate bowl, using electric mixer, beat eggs yolks with butter until yellow and fluffy. Add vanilla extract, sweetener and mix all together well. 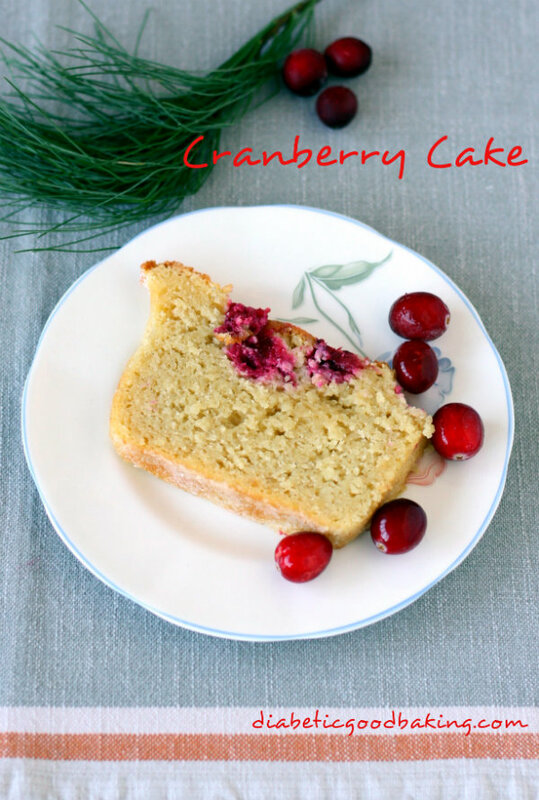 Pour the batter into a cake tin and spread the cranberry sauce on top of the cake. 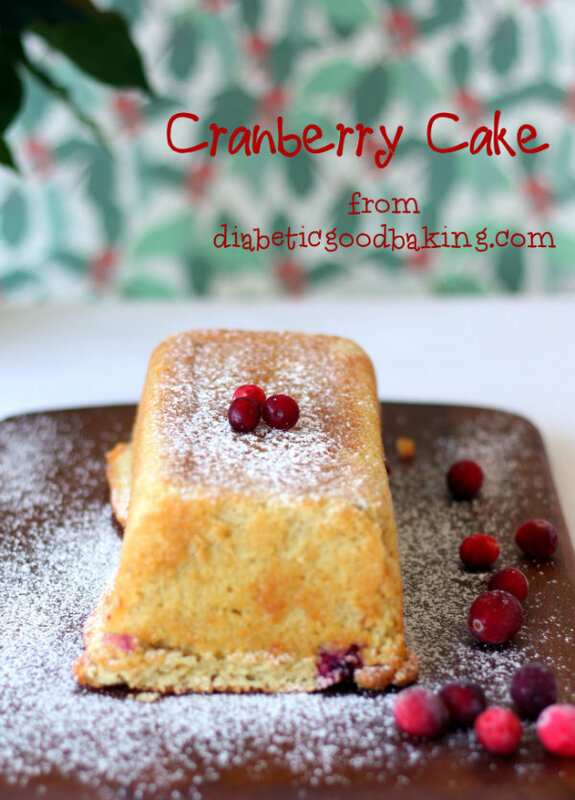 You may gently push the cranberries into the batter. Bake for about 50 min. Check with a skewer if the cake is baked (the skewer should come out clean).